Five Ways Passengers Are Getting Even With Cruise Lines. Found this article on CNN.com/travel. It was written by Christopher Elliott. Thought you guys may be able to get some use out of his advice on the current cruise line industry. (Tribune Media Services) -- Cruising isn't what it used to be. Just ask Steve Roberts, who recently sailed from Costa Maya, Mexico, to Nassau, Bahamas on the Carnival Glory. Cruise passengers know it's a buyers' market, and they seem to be enjoying their new power. Although his floating vacation was billed as an "all-inclusive" experience, Roberts found it was anything but that. Dining in a premium restaurant cost $30. Drinks were extra, too. And at the end of the cruise, Roberts says he was asked to pay a mandatory gratuity. "But the worst part was being assaulted by about a thousand ship's photographers, taking our photos every day, so we could pay an outrageous fee for as many prints of the digital photos as we wanted," he says. So Roberts did what more cruise passengers are doing these days: he said "no." That's just what the cruise industry doesn't want to hear. Amid a sinking economy, the major cruise lines have been cutting everything from their staffs to itineraries to, of course, ticket prices. At the same time, cruise lines have quietly imposed new fees in an apparent effort to raise onboard revenues. Perhaps the most aggressive to date has been Royal Caribbean, which recently added a $14.95 surcharge for passengers ordering a filet mignon in its main dining room and a $3.95 "late-night service charge" for onboard room service orders placed between midnight and 5 a.m.
Royal Caribbean says the fees are not about money, but convenience. Passengers who want to order a signature steak in the main dining room, as opposed to visiting one of its specialty restaurants, can now do so. And the room service fee, a spokeswoman added, is meant to "encourage responsible food ordering." Carnival's $30 fee for its specialty restaurants, as well as its gratuity, is a choice, according to Tim Gallagher, a Carnival spokesman. "Guest feedback tells us they appreciate these options," he says, adding that a Carnival cruise remains a "very inclusive" vacation. "There are people who cruise and never spend a dollar in the casino, shops, spa or on shore excursions, photos or bingo." Make that lots of people. To say that it's a buyer's market for cruises might be an understatement. Passengers know it, and they seem to be enjoying their new power. It's almost as if the archetypical cruise passenger -- you know, the overfed, newlywed and nearly-dead kind -- has been replaced with a more whimsical and mischievous character, like Capt. Jack Sparrow. We should have seen this coming. In addition to the epidemic of fees and surcharges, cruise lines have more or less had it their way for years. After the fire sales that followed 9/11, cruise prices rose like the tide, and passengers were slammed with more than just onboard fees. Their vacations were often held hostage to illegal, mandatory fuel surcharges that were imposed even after they had paid for their vacation in full. "Payback is a funny concept," cruise expert Paul Motter told me, adding that there's some evidence that passenger discontent has been bubbling up, including a recent class-action lawsuit against Park West Gallery, which offers onboard art auctions, and a $40 million settlement in last year's fuel-surcharge scandal. But are passengers really in a mood for revenge? I asked Terry Dale, the president and chief executive of the Cruise Lines International Association, about current passenger attitudes. He told me cruisers were out for bargains, not blood, and were finding "exceptional value" this year. In fact, cruise lines are offering their valued guests more than ever, including "complimentary amenities, shipboard credits, relaxed and reduced deposit requirements and special fares for booking 2010 cruises," he says. Maybe travelers are just buoyed by the lowest cruises prices in a generation, and nothing more. But in a series of interviews with passengers and industry experts, a slightly more complex picture starts to surface -- that of profit-starved cruise lines pulling out all the stops to attract new customers and of penny-pinching passengers who know they have them over a barrel at last. Cruises used to be bought a month or more in advance, and often far longer. If this were a normal year, for example, then most of the 2009 cruises would already be booked by now (they're bought during a time in January, February and early March called "wave" period). It's not a normal year. "I'm seeing them wait two weeks or less," says Jenny Reed, a travel agent for Atlanta-based Cruise Planners. It's a waiting game with cruise lines keeping prices as high as possible until it looks as if they'll sail with a lot of empty cabins. Then they slash rates. They're trying to reverse the trend. In January, Carnival introduced what it called an "early saver" fare that guaranteed the lowest price on a cruise if you booked three months early. If you later find a lower fare for the same sailing and accommodations, Carnival will issue the difference in the form of an onboard credit. Sales of beer and wine are big business to cruise lines. At sea, where there's no lawful drinking age or legal limit for alcohol consumption, sales of alcoholic beverages are believed to be the single largest source of onboard revenue. For a cruise line, selling a lot of booze can mean the difference between a profitable and unprofitable trip. So when passengers bring their own alcoholic beverages, there's a problem. Andi Fisher, a marketing manager from Berkeley, California, watched several passengers get busted on her last cruise. "One got caught because when the bottle went through the X-ray and came out the other side someone knocked it over and there was Kahlua everywhere," she says. "Someone else brought vodka in a water bottle." Another big moneymaker for cruise lines is a shore excursion, such as an island sightseeing tour or a dive trip to a coral reef. Many cruise lines reportedly split the take from these excursions on a 50/50 basis. But those trips are no longer a sure thing. Passengers I spoke with said their shore excursions were half-full, or worse. "We did not take an excursion on our last cruise," says Jamie Floer, who recently sailed on the Seven Seas Mariner. "It was canceled due to lack of interest." Does that mean people aren't coming ashore? Hardly. Instead of buying one of the higher-priced shore excursions offered by the cruise line, they're opting for a less expensive one you can book online or in person at the port. Like Roberts, a lot of passengers are simply saying "no" to the extras, including the premium restaurants, photos and drinks. Jean Farmer, owner of the Greenwood, Indiana-based cruise agency Elegant Cruises by Jean, has overheard some passengers grumble about the surcharges. "They chose not to go to the specialty restaurants and were very happy with the food in the main dining room," she says. Cruise lines are so concerned about the lack of guests to these premium restaurants that they've begun offering incentives designed to lure them back. One of Farmer's clients was offered a coupon book on a recent Royal Caribbean cruise for a free meal at Johnny Rockets. "They were thrilled," she added. The absolute worst-case scenario? That passengers don't fall for the last-minute deals at all, and skip their vacations entirely. As the economy slides further into recession, that's a distinct possibility. But it's not the only reason people would forfeit their cruise, to hear passengers like Tom Sullivan, a Web developer from Middletown, New Jersey, who cruised on Royal Caribbean last fall, talk about it. "I think many people can overlook being nickel and dimed by surcharges and fees as long as there is still value and a good experience," he told me. "But that, too, is declining. No amount of fees or surcharges will compensate for a negative vacation experience or lack of value -- and will drive people away." While it may be something of a stretch to call any these actions "revenge," they are undoubtedly hurting the cruise industry. Profits are plummeting and new ship construction projects are in danger of being canceled, arguably as a direct result of this new consumer behavior. Capt. Sparrow is on the loose. Maybe now would be a good time to rethink the way floating vacations are marketed. The cruise lines could start by ending the use of the word "all inclusive" to describe their product. (Christopher Elliott is the ombudsman for National Geographic Traveler magazine. This column originally appeared on MSNBC.com. You can read more travel tips on his blog, elliott.org or e-mail him at celliott@ngs.org). 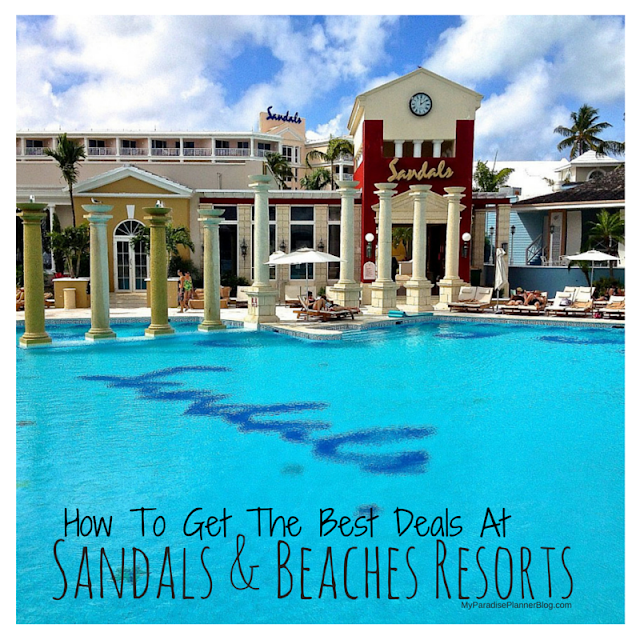 Get The Facts: All-Inclusive Resorts. Explore Europe In Style, Sans The Backpack! "Summertime And The Living Is Easy"
Feeling Sick? Stay Away From China! Cheap Last Minute Airfare Anyone? How To Save Up For A Vacation. The Purpose Of Using A Travel Agent.